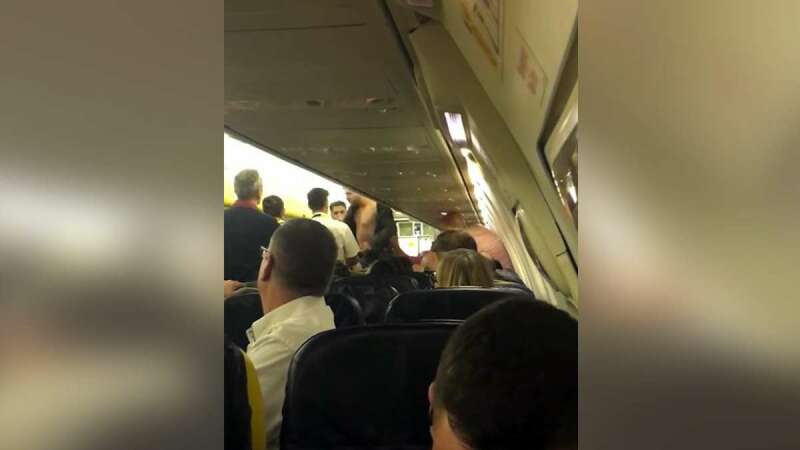 A London-bound airplane was left with no other option than to make emergency landing at Istanbul airport after passengers indulged into a major scuffle at 30,000 feet. An old man, shown in the video, reportedly started fighting with one of the passengers on board. Cabin crew rushed to break up the fight, but the man "violently" shoved one of them away and punched another, The Mirror reported. Istanbul : A young man with black beard can be seen stopping the two fighting passengers. He managed to calm down the old man for few minutes but the scuffle restarted after some time. Cabin crew then pulled both the men away and reported the incident to the captain, who decided to make an emergency landing in Istanbul and the older man was dragged off the flight by four security guards. Apparently, the fight shown in video belongs to a week old flight.